The following is a list of products, inventions, and accessories that are offered by list members to other list members. These products are the result of people who are enthusiasts and supporters of the TR hobby. This listing is supplied for the convenience of fellow Turbo Buick enthusiasts; no specific endorsement or recommendation of any of these businesses, products, or accessories is intended or implied. Individuals using this listing should research each product thoroughly before purchasing or dealing with the individuals listed. Do you have a product or offering you'd like to see listed? Please contact www.gnttype.org@gnttype.org if you see listings that need to be updated, removed or added. Use a the newer LT1 and LS1 style MAFs to replace your old MAF. Adjust your fueling and your ignition timing via some simple settings with the Translator. Bob Bailey - Bailey Engineering, Inc.
A laptop based scantool for the Turbo Regals, Turbo Rivieras, Turbo Trans Ams, some GM FWD applications (Buick, Olds, Pontiac), and some GM trucks (pickups, Suburbans, Yukons, Blazers, S-10s, Tahoes, TopKicks). Connects to the ALDL port and your laptop. Optional boost sensing capability! Extensive User Support. Graphical Displays, Numerical Displays, Export capability and Record Triggers help capture and analyze data. 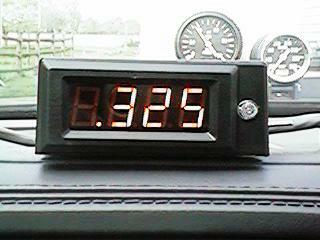 The FFP digital 02 meter displays real time 02 volts. Hooked directly into the 02 sensor circuit, the values are updated 2.5 times per second to provide an accurate, current reading of 02 volts. Used as a monitoring device and tuning tool where traditional scan tools are either prohibited or inconvenient. Large LED display is bright and easy to read. 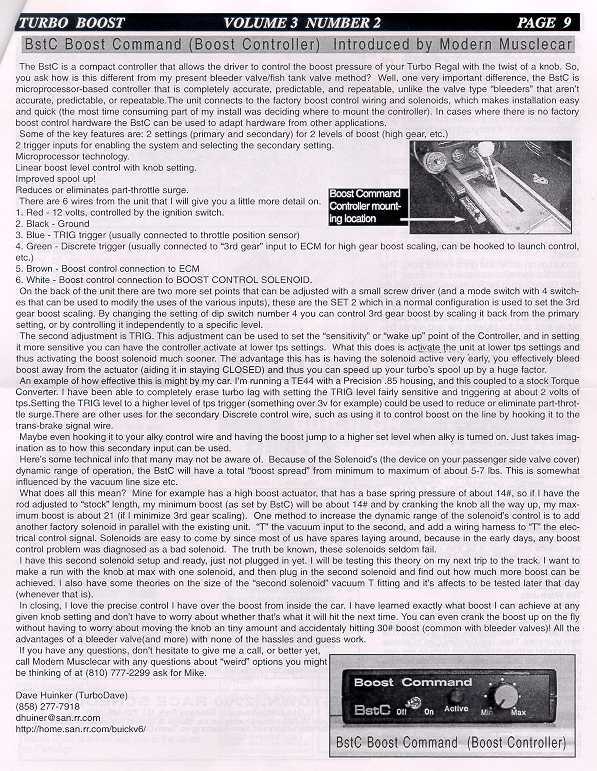 Check your 02 volts at a glance. Integrated knock detector with visual and audible alarms warns of potentially damaging detonation. An electonic wastegate controller with additional features to trigger other devices. RJC valve cover extensions - These were designed to allow the use of all types of roller rockers with the stock valve covers.They are made from 3/8" thick T6061-T6 billet aluminum. They can be used with stock and after market heads. RJC Race Crank pulley - This pulley is made from billet 6061-t6 air craft quality aluminum and comes hard anodized for wear resistance. The stock pulley weighs 6lbs, this pulley weighs 1lb. That is a 5lb reciprocating weight reduction right off of the crank. RJC Rocker Shaft Supports. -Made from Heat Treated 4340, these are designed for those of you that are running higher spring pressures and larger cams these prevent the rocker shafts from breaking at their weakest point, the mounting holes. RJC Pickup tube Ext. - This is the billet aluminum pickup tube extension that is included in the girdle kit. It comes with the mounting hardware and even an extra gasket. This can be purchased seperately. This eliminates the troublesome task of extending the pickup tube. RJC Block Girdle - The RJC block girdle was designed with one thing in mind, strength. This ties the lower end of your stock block Buick V-6 together, making it virtually bulletproof. 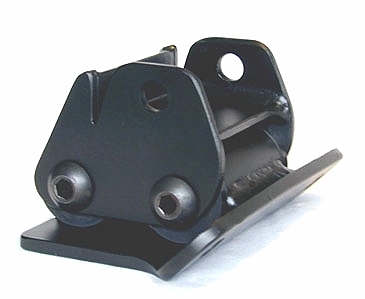 It is 3/4" thick 1018 billet steel and comes with all ARP mounting hardware. The Highly polished aluminum shield is accommodates a variety of upgrades including the 30, 40, 50, and 60 series (3 bolt) turbos as well as the stock turbo. The list of downpipes that are compatible include stock, 2 piece 3", Terry Houston 3" and the ATR 3". The shield mounts to the stock bracket, will clear a turbo-saver fitting, and can only be used with the stock waste gate. The shield comes with polished T304 stainless steel 8mm allen head bolts, custom 12 ga T304 stainless steel polished washers, and the correct metric allen wrench. This hand polished and laser engraved aluminum battery cover is made from 5052 aluminum and fits all "86" and "87" Buick Regals. It mounts to the stock hold down bracket with hardware provided and also comes with an allen wrench for the stainless steel bolt. The aluminum cover is extremely light, rubber cushions provide added support. Made of 5052 aluminum and powder coated black, this high quality intercooler scoop can be raised out of harms way for street use or lowered to it widest opening for optimum performance in just minutes by loosening only two bolts. At the street setting, the lowest edge of the scoop extends slightly below the factory dams, so contact with most curbs should not be a problem. At the race setting, the scoop extends 3" below the dam and has an opening of almost 5-3/4" for maximum air intake. Mounting hardware included. Allows the use of larger diameter inlet tubes into the turbo compressor. Allows removal of the IACV motor without removing any other parts. CNC machined from billet aluminum and brite dip anodized. Bolts to stock or aftermarket throttle bodies. New! Polyurethane motor mounts for all production 3.8 Buick V-6s, from 82-87. The new poly mounts are much stronger than stock, and designed to handle the increased demands of modified engines. The tie-down strap is may no longer be needed. The mounts can be changed while in the car, and come with a one year warranty. Our second design for Stage I & II, and 4.1's are now available also. Look for many more quality products coming soon. Extra deep pan (4.75") for the 200-4R transmission. 5.5 qts but only 4.0 lbs complete, drop sump included, T6061 3/16ths sheet metal aluminum. All heli-arc welded, drain plug bung welded in and uses bottom feed performance filter. All stainless allen fasteners with stainless washers and fiber pan gasket. Can be polished. Available from most distributors/Buick vendors. New Shallow Aluminum Pan Kits For 2004Rs : Holds 2.5 more qts than stock, Weighs Only 3.0 lbs, 2 3/4 inch deep, Made From T6061 3/16ths Sheet Metal Aluminum, All Heli-Arc Welded, Drain Plug Bung Welded In, Bottom Feed Performance Filter, Stainless Allen Fasteners With Stainless Washers, Fiber Pan Gasket, Shipping Included, Polishable. No grinding or fit problems. Options: exchange or outright. 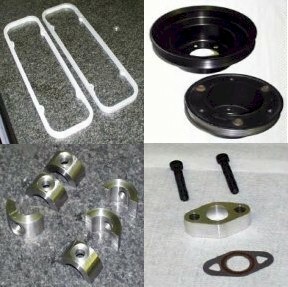 build your valve body and plate and return. 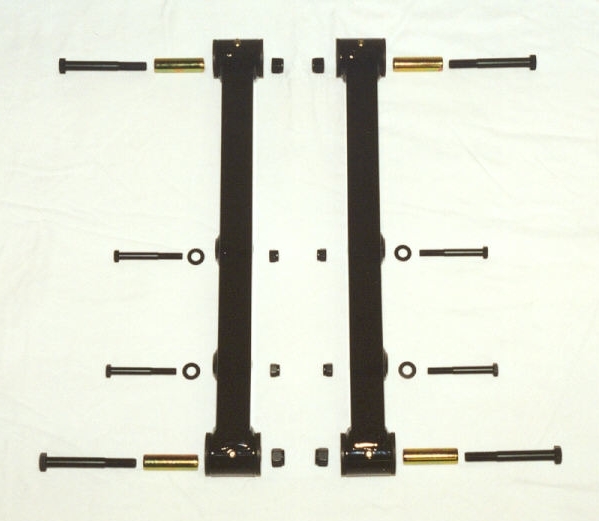 HRpartsNstuff has Lower Rear Control Arms available for '78-'87 G-bodies (TR's), '64-'72 A-Body (GS's), and '82-2001 F-Body (TTA's), with more applications coming soon. Excellent design for street AND strip use with no binding or squeaking, giving better handling, quicker acceleration and lower 60 ft. times. CNC Machined rectangular steel tubing yielding superior strength, with swaybar mounts, beautiful black powdercoat finish, custom Poly bushings with grease grooves, grease fittings, custom inner steel spacer, all necessary hardware, detailed instructions, one year limited warranty, and comes partially assembled for easy installation.